When my husband and I were looking for a wedding photographer, one of our main priorities was finding somebody who would turn over all the digital rights to our photos to us. We were also adamant that we didn’t want to shell out for a professionally made wedding album, which can cost thousands of dollars. Why bother, I thought, when I can do it online myself? Living in the digital age is both exhilarating and sobering. We’re early pioneers of technology that can change everyday lives, and yet we’re still figuring out the best ways to use it. In this new weekly column, Laura Owen and Eliza Kern write about navigating the opportunities and the minefields of a digital life. About two years later, guess who has 800 digital wedding photos and no album? In fact, I haven’t gotten a single photo printed. They exist only in digital format, along with all of the pictures from our honeymoon, and the Europe trip we took last year, and our recent vacation, and you get the idea. The internet makes it so easy to take, edit and organize photos — so why am I worried that mine will never see the light of day? Is this really better than a shoebox? I come from a long line of scrapbookers. My grandma and my dad have both chronicled our family’s history in albums for decades; when I go to my parents’ house, one of my favorite things to do is look at the dozens of albums my dad has made, starting from the day I was born. His scrapbooking tools used to be rubber cement and an X Acto knife; now he’s migrated, apparently seamlessly, to the world of online scrapbooking, where he makes and prints the books on Shutterfly. I have the scrapbooking gene, but it seems to be dormant. Part of my problem is that I’m overwhelmed by the sheer number of digital photos I have, and the task of getting them together seems so big that I always put it off for another day. Another challenge is that I have a lot of photos in a lot of different places. Most of the pictures that I take nowadays are on my phone, but the pictures from our wedding are on a thumb drive that the photographer gave us — but I lost it, so thank goodness I’d uploaded the pictures to a laptop, except it’s my old laptop that I no longer use. I took a lot of digital pictures in college, but I’m not quite sure where they are now. I think I backed them up to DVDs. Too bad my MacBook Air doesn’t have a DVD drive. So a large part of the battle, clearly, is simply getting all of my digital photos into one place. Then I have to back them up, and I need the same backup system for all of them; clearly, DVDs are no longer going to cut it. I finally subscribed to a cloud-based backup system this year (Mozy, but there are lots of others — you’ll have to hope that whichever one you choose doesn’t go out of business). Once the photos are backed up, I’ll need to upload them to whichever photo-book-making service I finally decide to use, and then I actually have to make the book. You can see why the old shoebox-based storage system almost starts to look attractive. My desire to have a perfect, all-encompassing solution for my photos is probably tripping me up. So I’m trying to work with what I have, quickly. I’m not a professional photographer, and organizing photos simply hasn’t been a top priority for me. I assume that other consumers are in my shoes, because a variety of sites are trying to address the problem. Some startups, for example, aim to solve the ephemerality of camera phone pictures. Companies like Printstagram and Origrami will print your Instagram photos; all you have to do is connect your Instagram account. 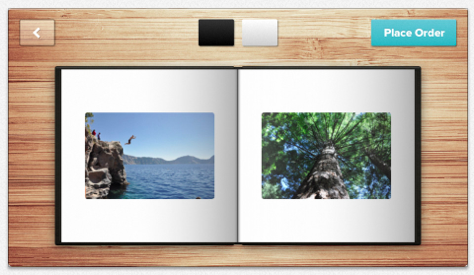 Mosaic lets you create a photo book directly from your iOS device. And most photo project sites now let you link your Facebook (s FB) account so you can print those pictures, too. Photo project sites also clearly recognize the inertia that can overcome a person with thousands of digital photos on her hands. Shutterfly, for instance, offers “Simple Path” photo books that automatically arrange photos chronologically into a book, and iPhoto lets you “autoflow” your pictures right into a book. I haven’t taken advantage of these features yet — I keep thinking I want to arrange my pictures myself –but they’d clearly be my fastest route to having a completed book on my coffee table. So check back with me in six months. I may finally have a stack of photo books for you to look at, and then we’ll be faced with a different age-old problem: How can you politely get out of looking at somebody else’s vacation photos? To read previous Digital Life columns, click here. 1. For storage, I used Dropbox and event-based folders to keep it simple. You could use Hazel to sort your pics by month & year to get started (based on date created rules) if you don’t have the time or interest in sorting by hand. With a ton of pics to sort, that might be a good way to get some basic organization done. 2. For reviewing your pictures, I recently discovered Everpix (https://www.everpix.com/index.html) which takes all your pictures from your computer, iOS, Flickr, Facebook, and Instagram, and displays a nice grid by year. Everpix also emails a daily flashback of pics from the same day in years gone by. It’s free for basic – viewing your past two years of pics — and a cheap subscription ($5/month) to look back on indefinite years. No affiliation with any of these solutions, just find them helpful in a world of endless photos! my Galaxy Nexus is my only camera, all my pictures gets automatically uploaded to Picasaweb. There, I create albums. The primary issue with Adobe Lightroom is that it seems like almost every update of the program makes a new library that isn’t completely compatible with prior versions. I’ve moved away from Lightroom because of this issue. Shutterfly is great for making books, but it doesn’t allow you to store or retrieve your pictures in their original resolution. I like Everpix as a way to find everything that on your hard drive, devices, and external hard drives. It’s a great service and a great way to find all those digital photos that you forgot you took years ago. I think the new Flickr(storage) + Everpix(cataloging) + Shutterfly(book printing) is the ideal solution — until someone combines their capabilities into a single solution. Consider investing in a copy of Adobe Lightroom and use it to organise all your photos and make books from them right in the app. You can also upload directly to Flickr and SmugMug for your on-line presence, should you desire. 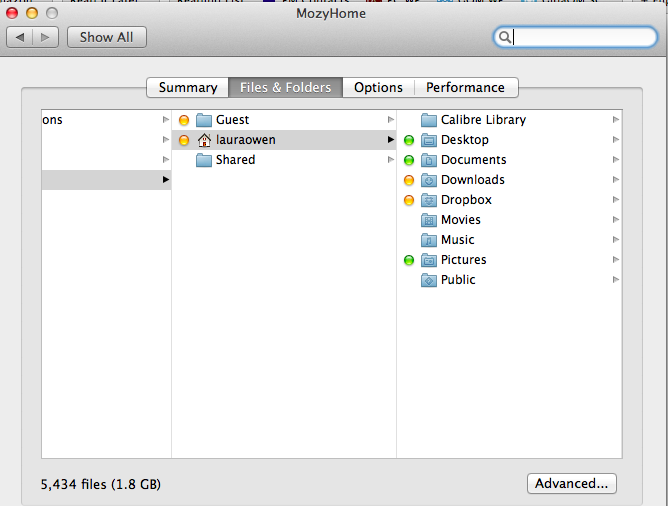 For backup, consider CrashPlan – I found it to be better value than Mozy. Thanks for the tips — I’ll check out Lightroom. Lightroom is great – but if you’re only looking for an organizing solution, Picasa (and a decent folder-naming scheme) is pretty solid for the price. Depending on how worried you are about keeping backup copies – I would suggest two external hard drives locally that mirror one another (using SyncToy, SyncBack, or a ton or other possibilities). When (not if) one fails – leapfrog it with a new one, and re-sync. Lightroom 5 also has a photobook creation feature, which I’ve just used to create our wedding album based on the photos taken by the pro photographer we hired. I disagree that Lightroom is a bit much for those less technical – my 15-year-old daughter has no problem editing the snaps she grabs from her entry-level DSLR with it and posting them to Facebook. The fact that normal people cannot manage the vast number of photos that they generate is actually one of the best selling features for professional photographers… someone who actually has a proper digital asset management system, and knows how to quickly generate the gallery or book we want is worth the premium, it’s just unfortunate that people don’t see that until they’re too far down the alluring do it yourself path. I’ve used Shutterfly for years. I can store unlimited photos for free, order from a myriad of photo-based products and prints, create albums that have all kinds of options, and share them with friends and family. I love the title of this post! There are certainly multiple advantages to digital photos – like the fact that you don’t need to worry about cleaning the boxes they’re in when they start to gather dust or the fact that you can pretty much take them anywhere. Still, I sometimes can’t resist making prints to have around the house. Thought I’d also share this post: http://blog.peecho.com/blog/how-to-make-a-photo-book-in-10-simple-steps – it might not solve your organization issue but could give you some ideas for making photo books easily. I can definitely relate as my story is a little more complex; two-thirds of my photos are not digital. I have created folders on my PC in the format of Year-Month and have synced these to my tablet. My kids love looking through these; especially pictures when they were very young. As for scanning in my older real photos, this will have to wait until retirement!